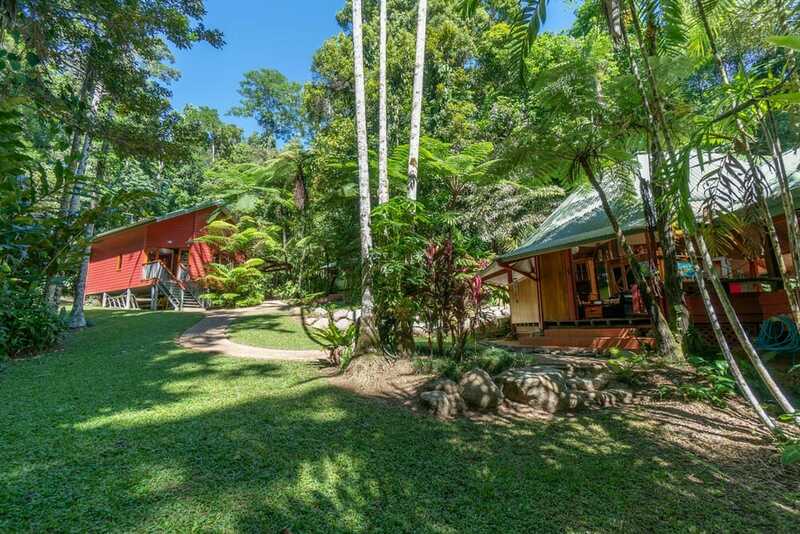 There is simply too much to describe in this truely unique architect designed ORIGINAL home, but if you ever wanted to live outside the box, in a quiet tree lined street and close to nature then this is for you. 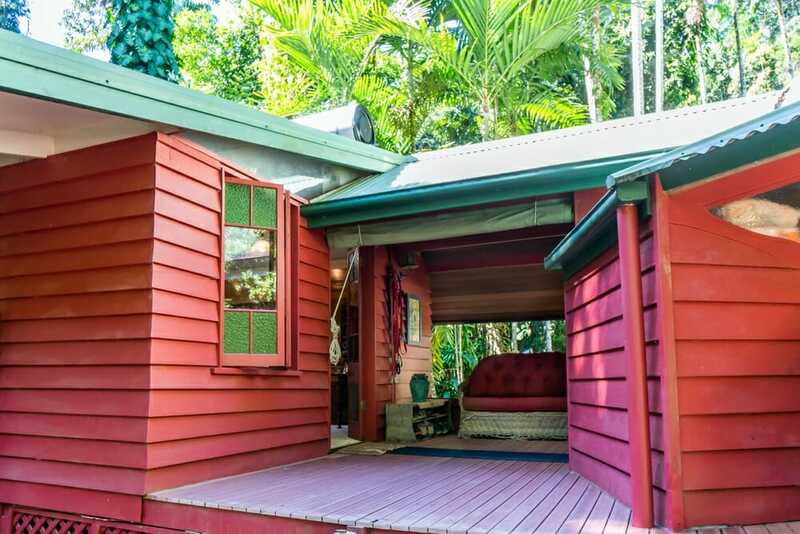 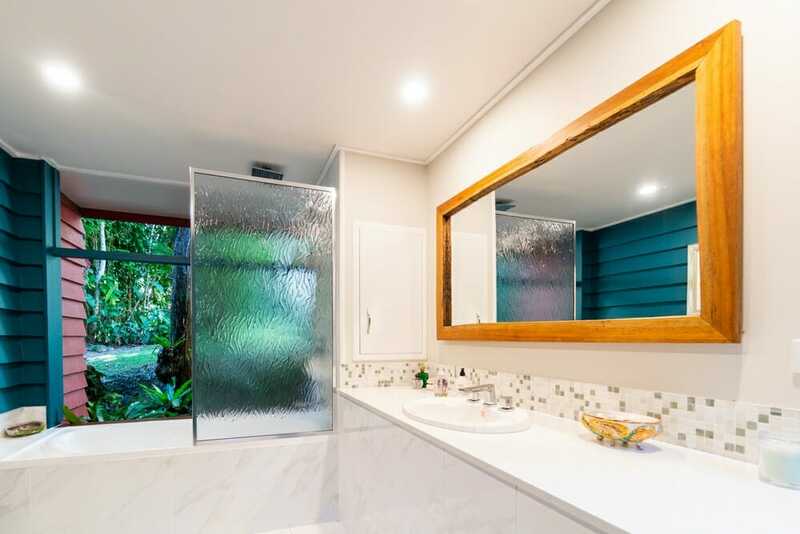 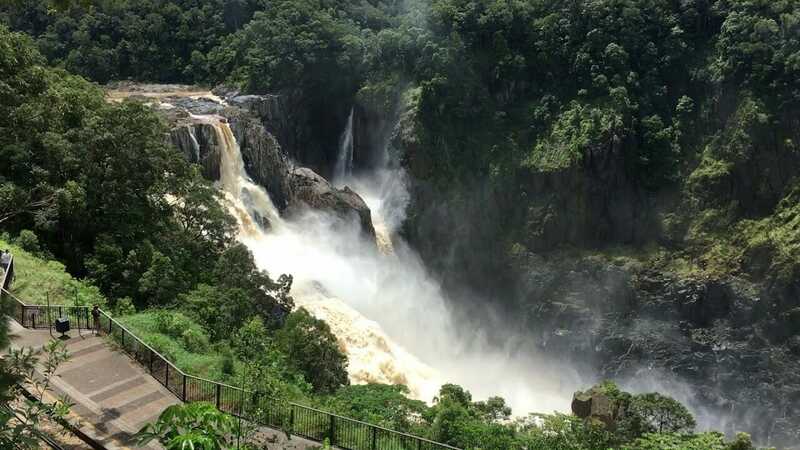 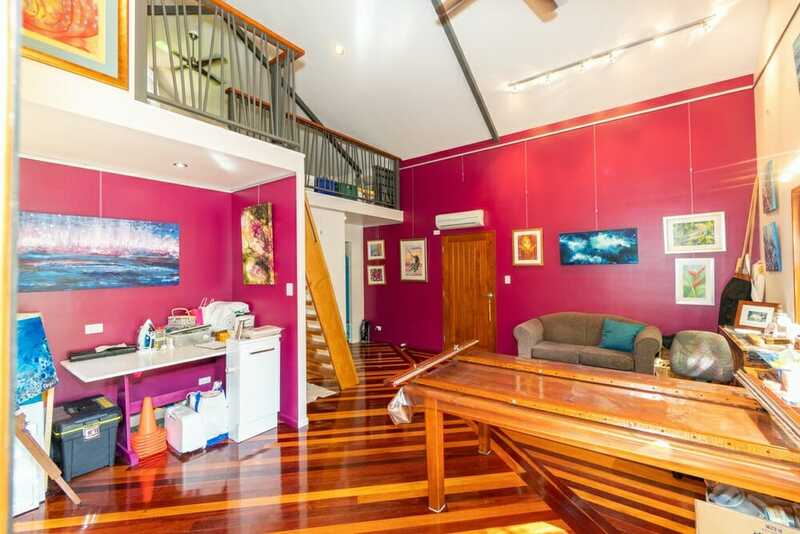 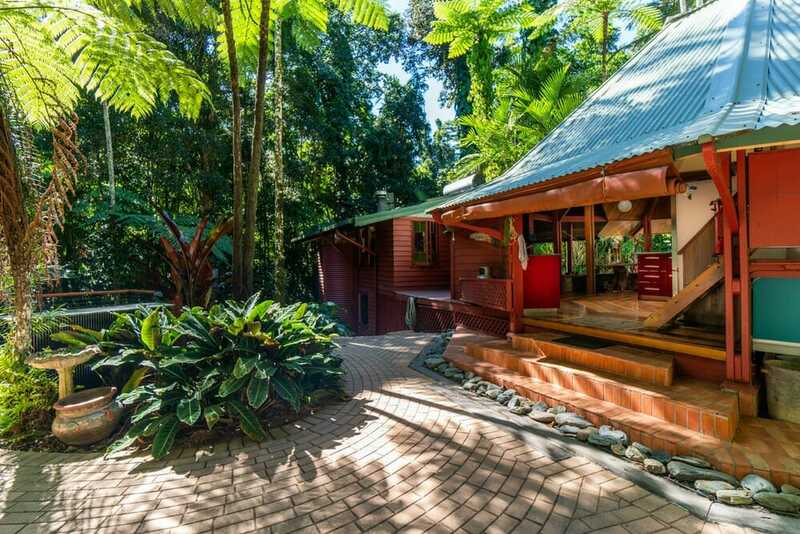 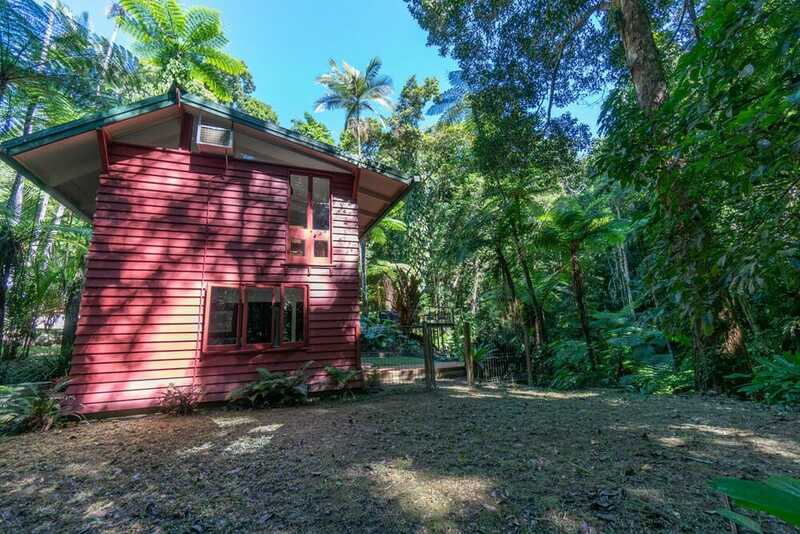 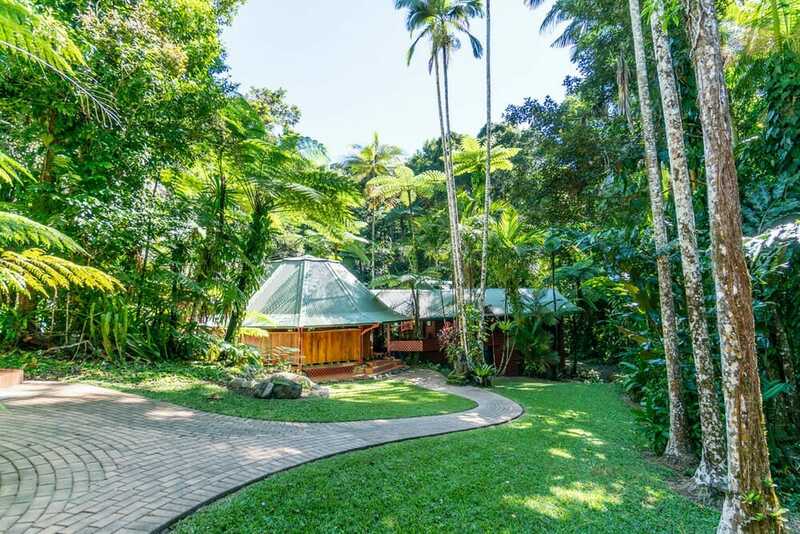 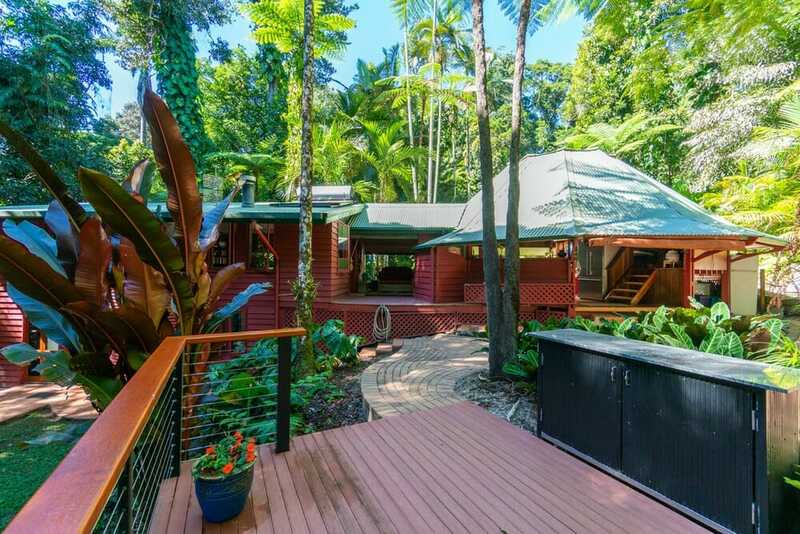 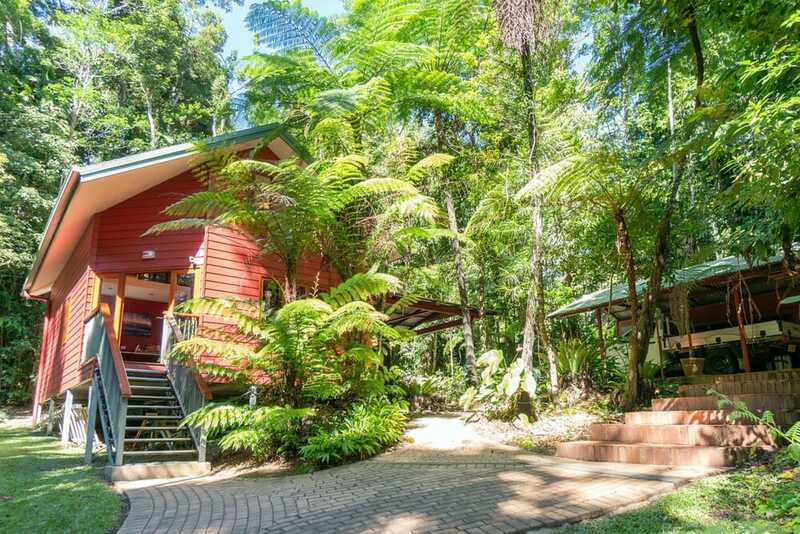 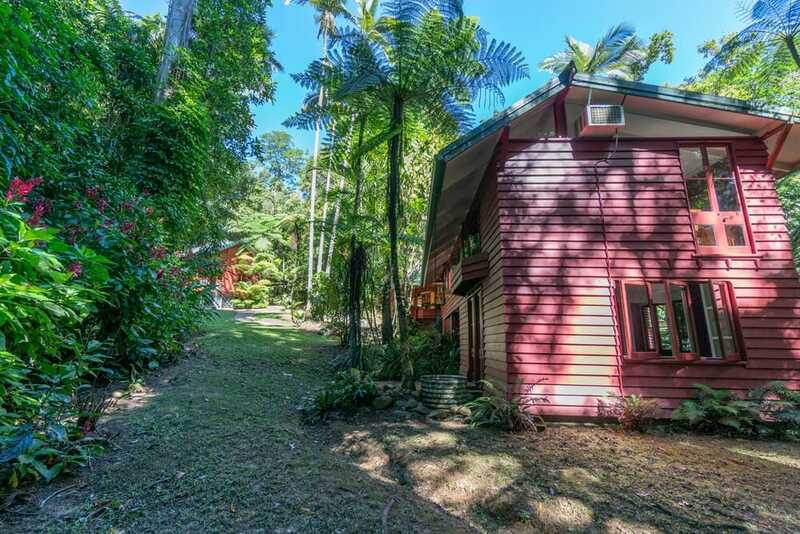 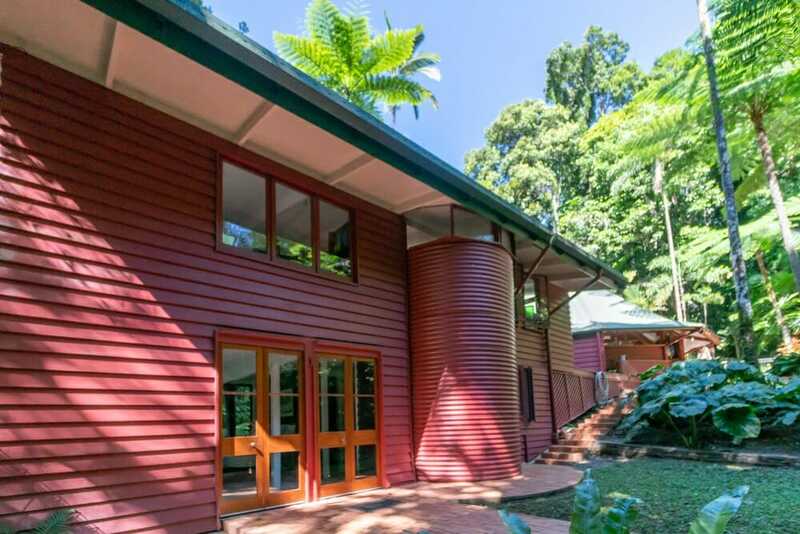 Walk to Famous Barron Falls, Walk to Barron Gorge National Park, Walk to Kuranda Village for a Latte… perfect location for private enjoyment or business retreat. 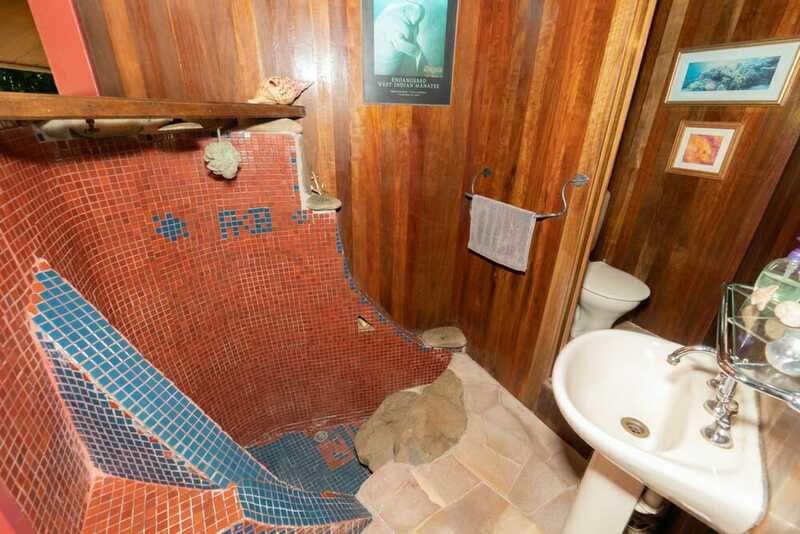 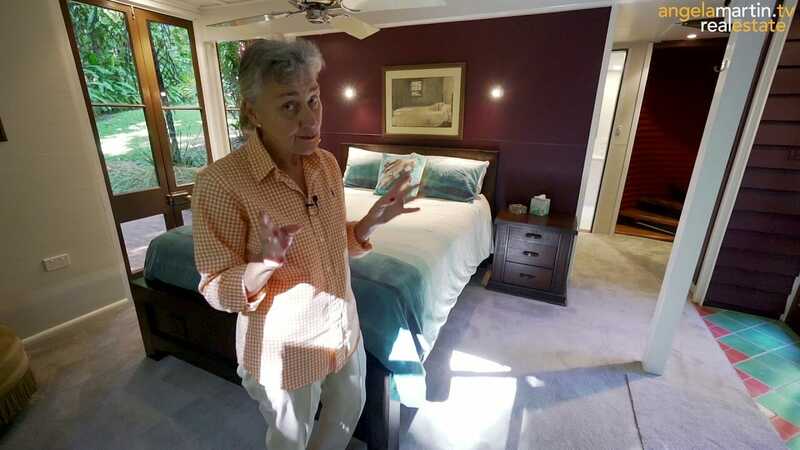 This property has only ever had 2 owners who have loved it to bits. 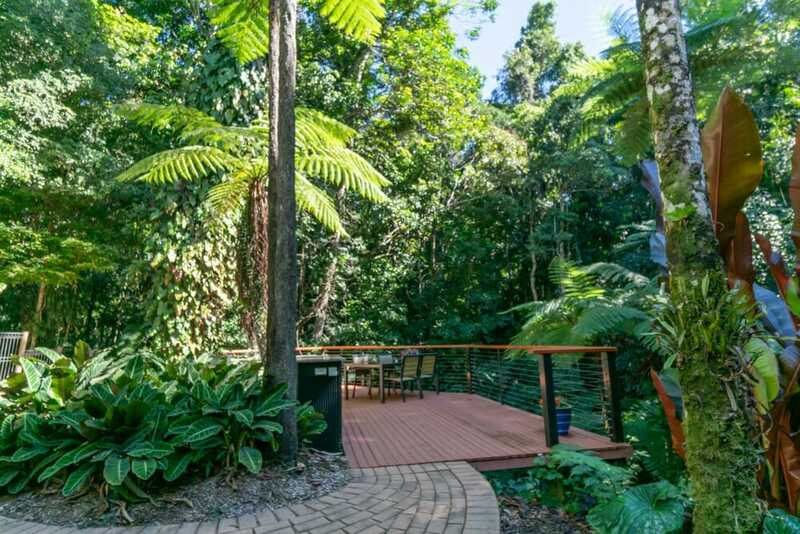 – Easy flow to outdoor BBQ entertaining area with cantilever deck overlooking stunning rainforest. 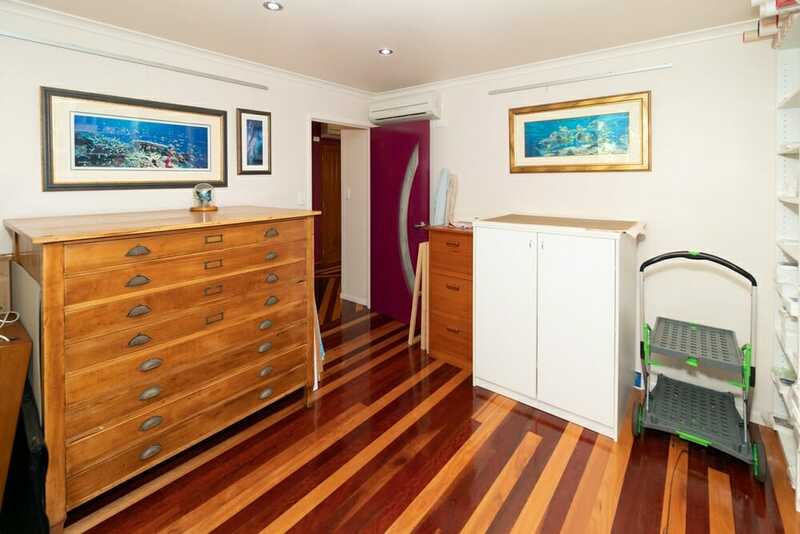 – Kitchen is fabulous – granite bench tops and european appliances. 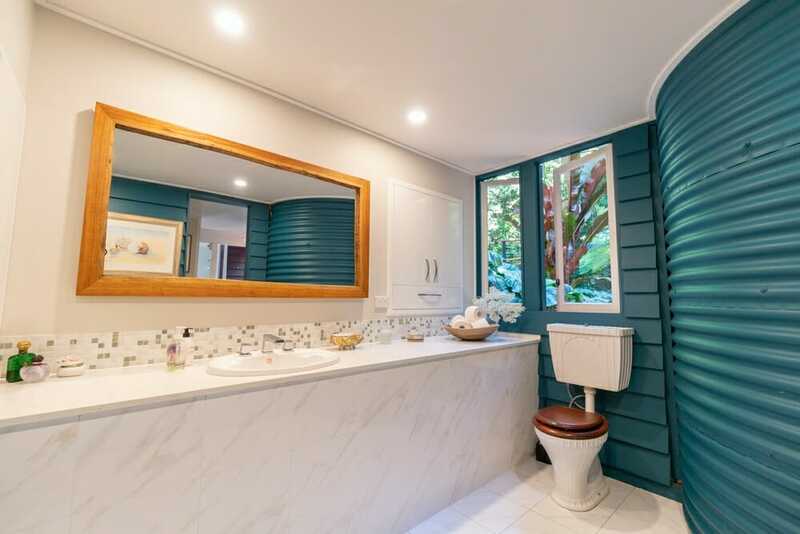 – Mosaic tiled shower room and toilet. 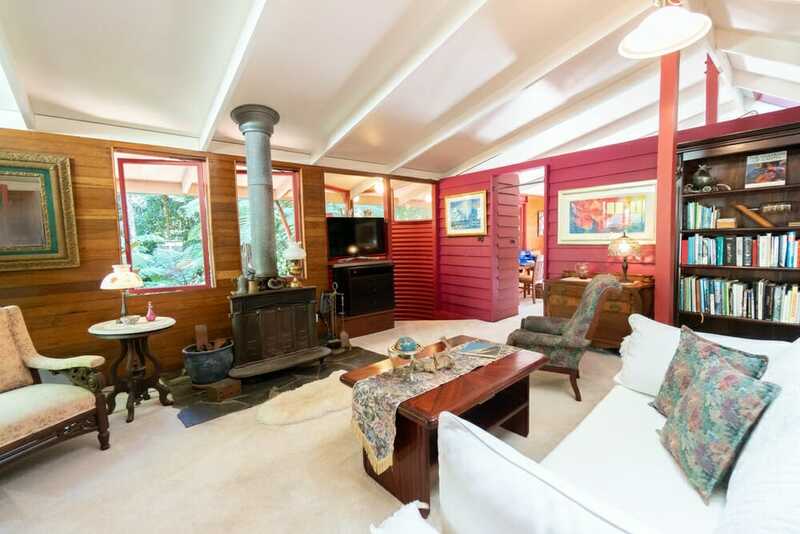 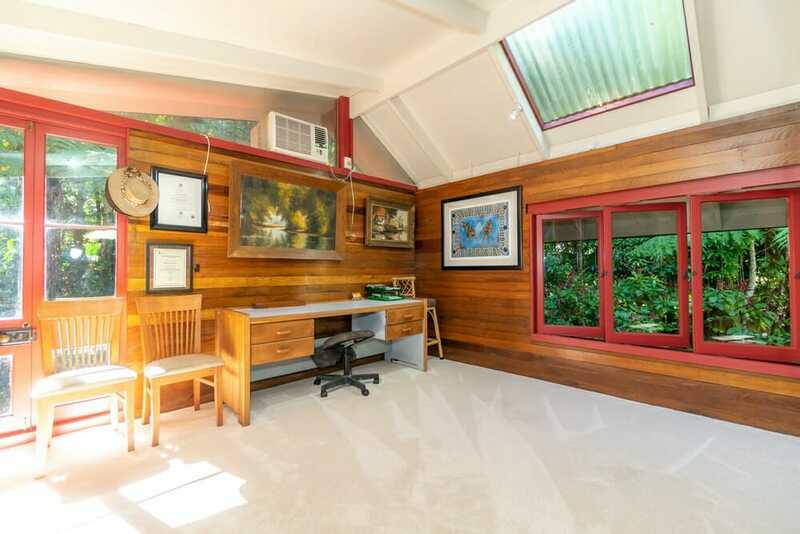 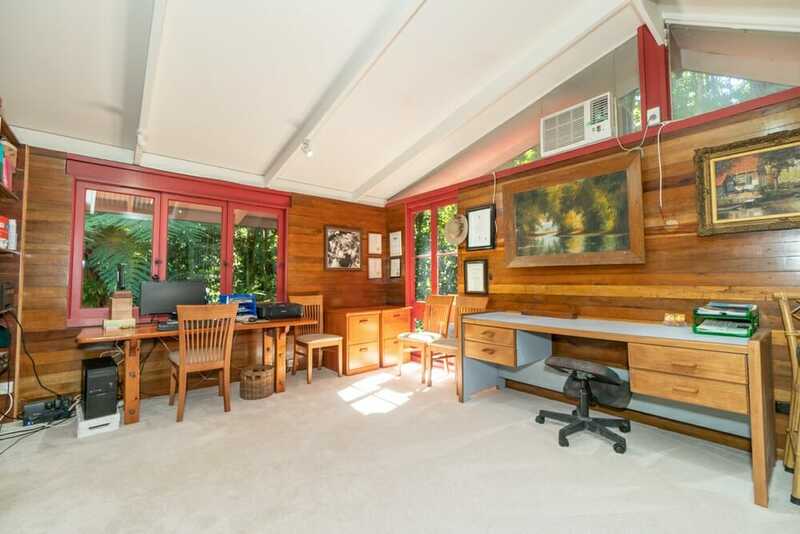 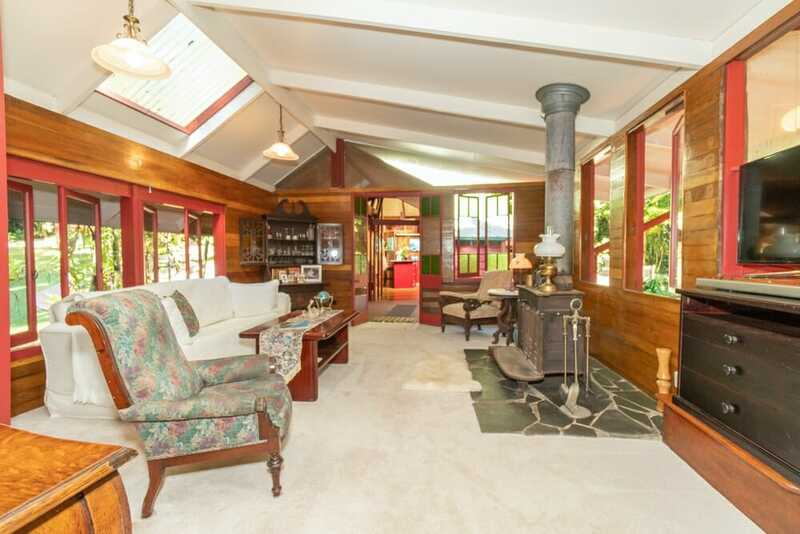 The Breezeway connects to additional wing with a cosy winter lounge with wood burning stove and a supersized office/bedroom with lots of natural light. 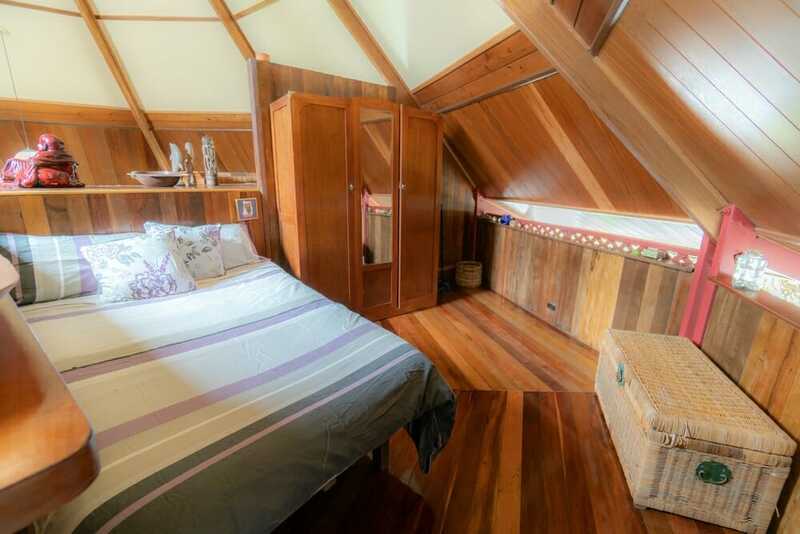 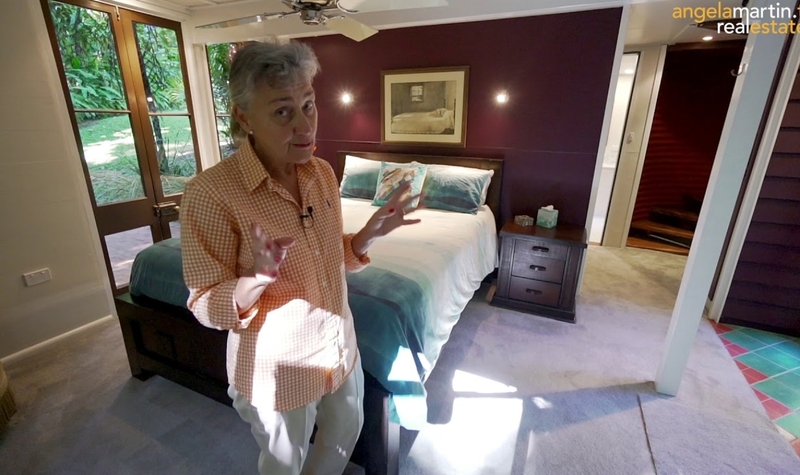 The spiral staircase takes you downstairs to the romantic master bedroom with ensuite and walk in robe. 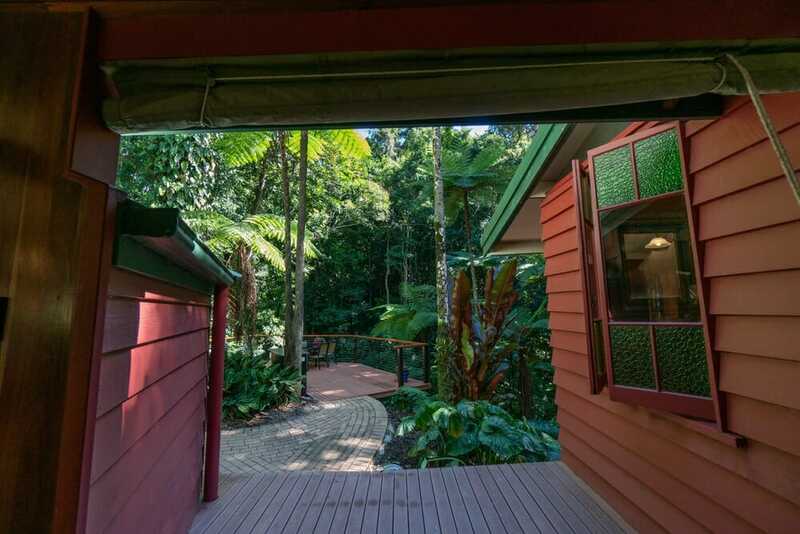 French wooden doors open out into the gardens which are manicured but so low maintenance. 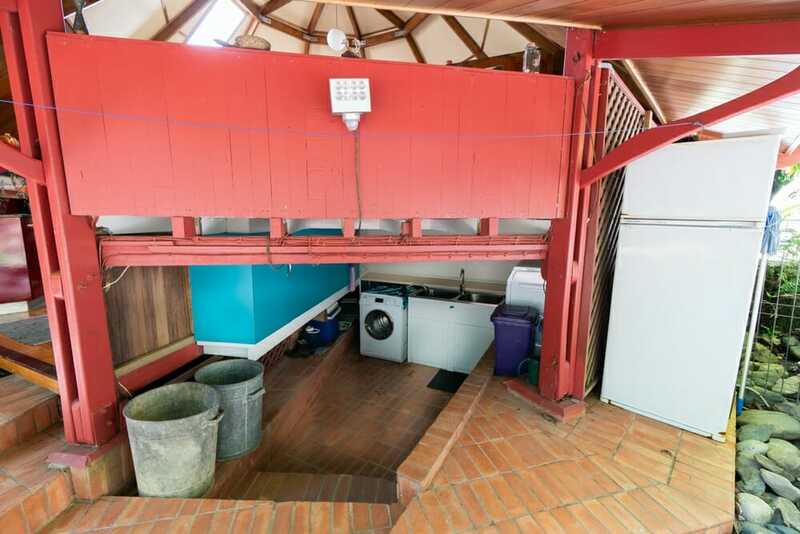 The steel framed studio was built in 2008 originally planned as a 2 bedroom flat with designated areas for kitchen, bathroom/laundry. 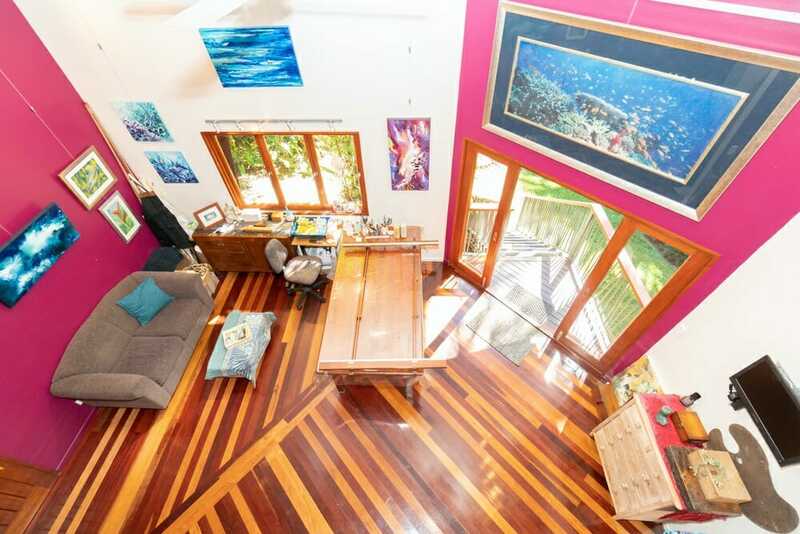 It’s currently used as an amazing art studio and has beautiful new guinea rosewood doors and windows & mixed hardwood flooring. 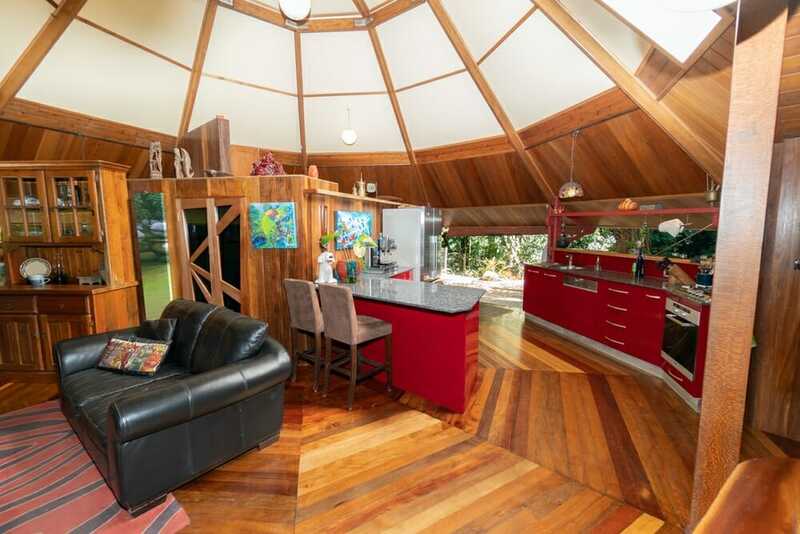 Fully air-conditioned and insulated. 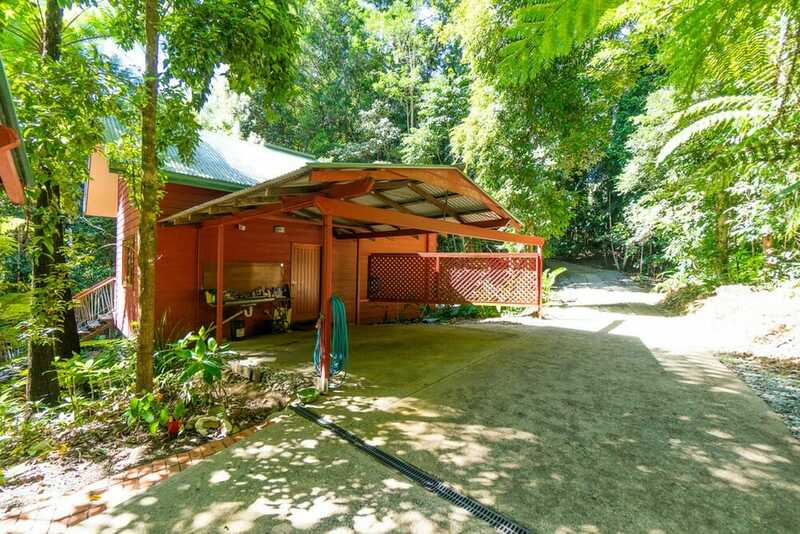 3 car carports with workshop area, concrete driveway, solar hot water. 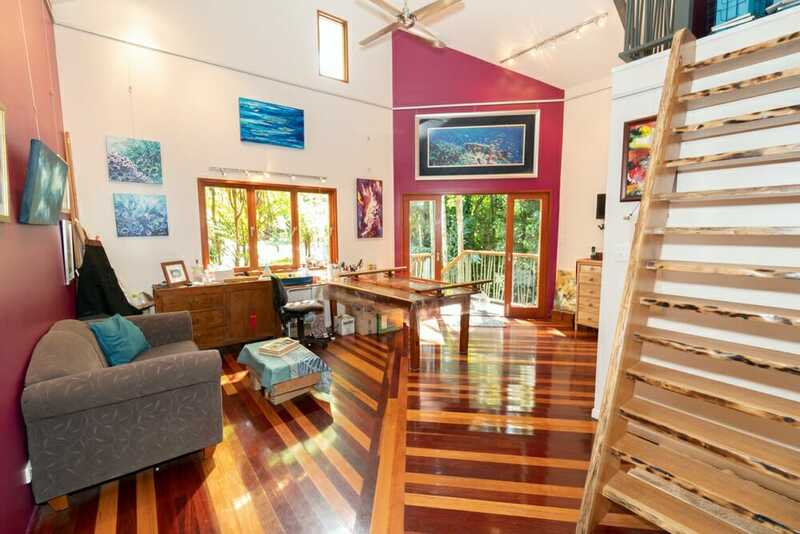 Beautiful rare timbers – tulip oak beams, cedar exterior, mixed rainforest hardwood floors and new guinea rosewood in studio. 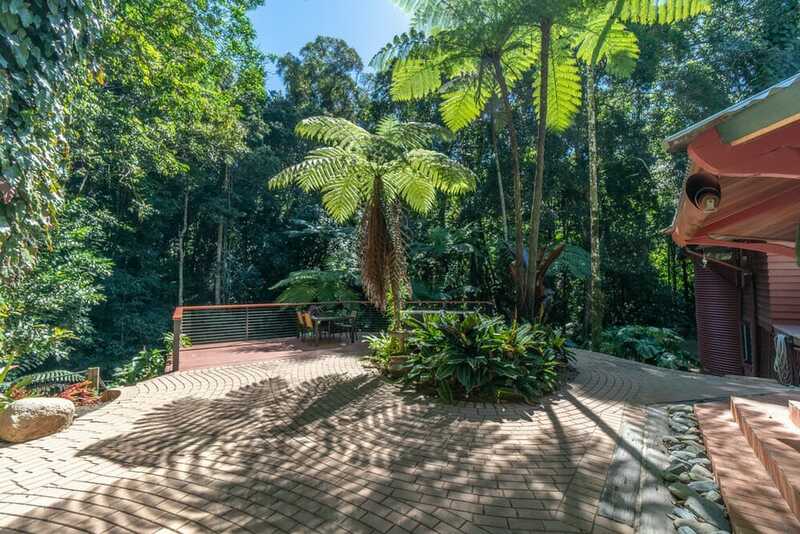 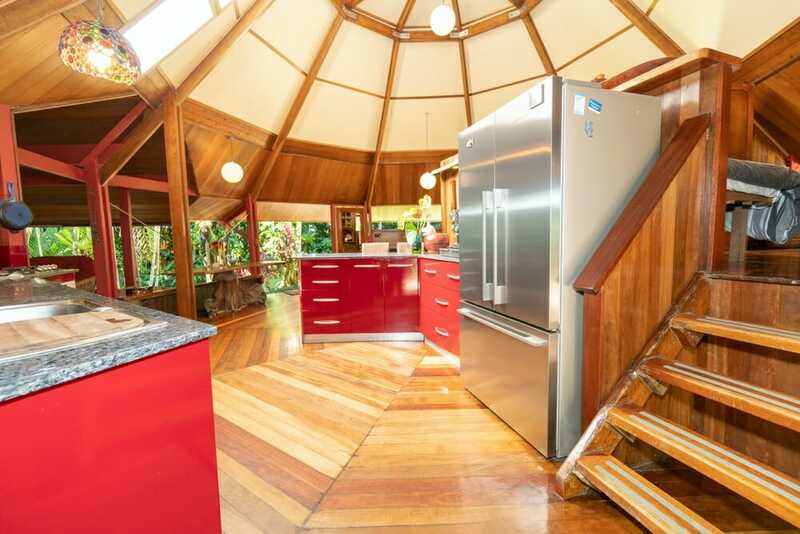 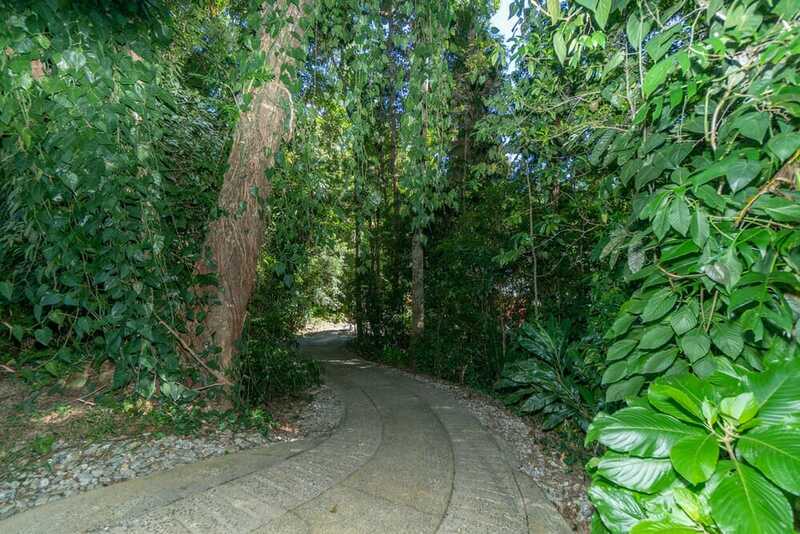 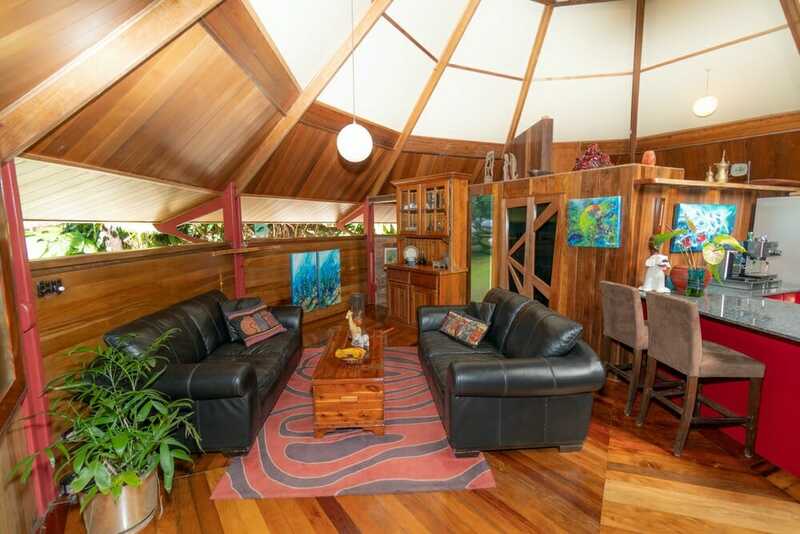 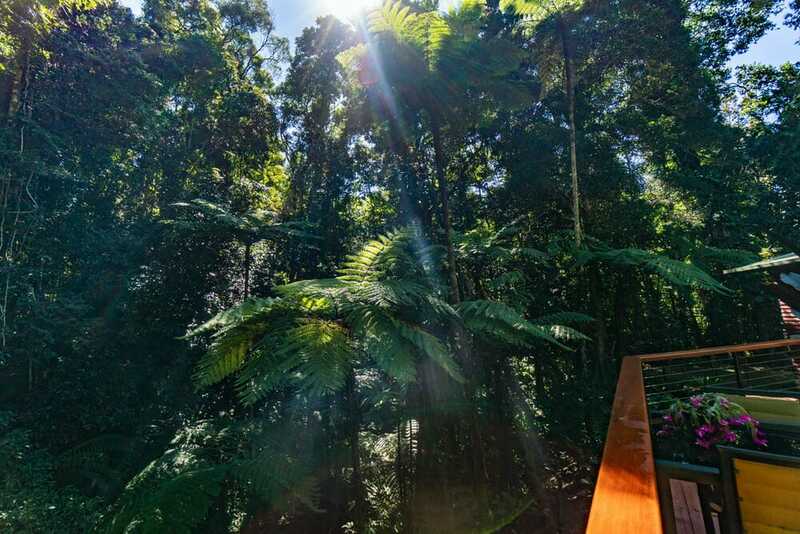 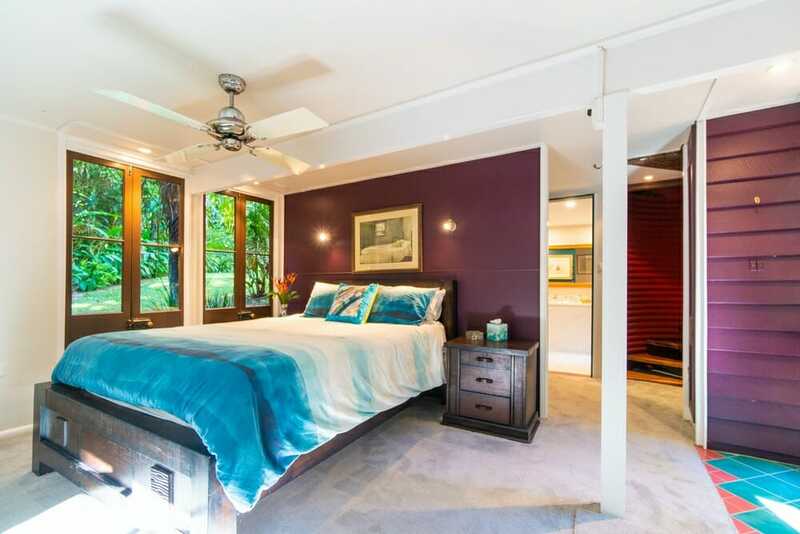 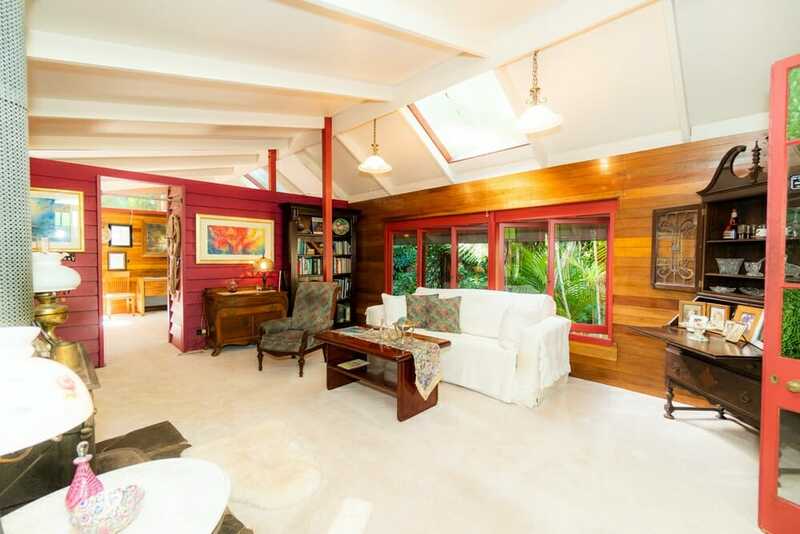 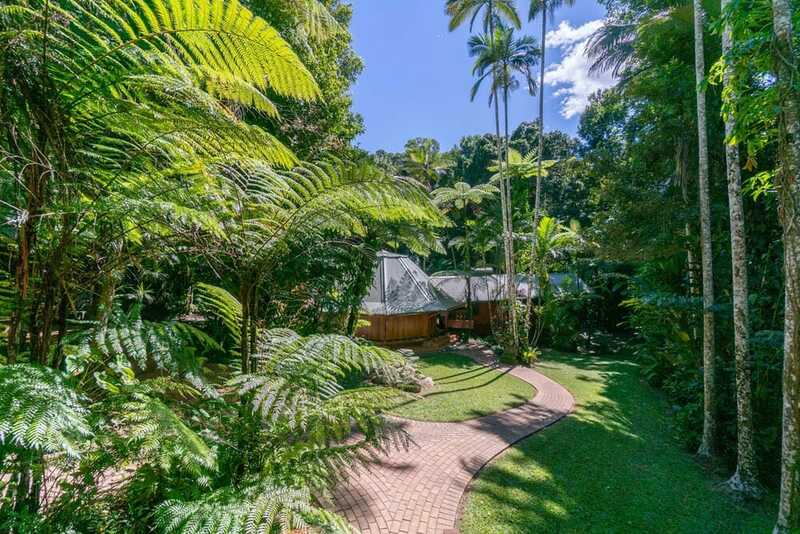 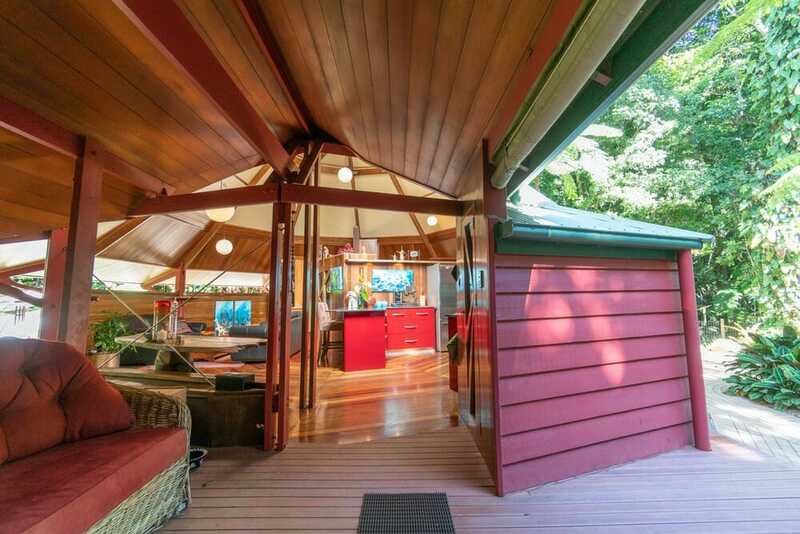 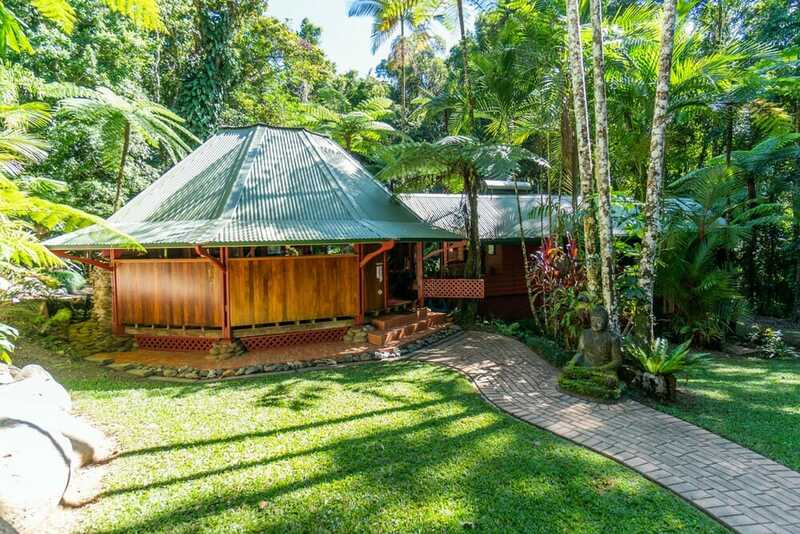 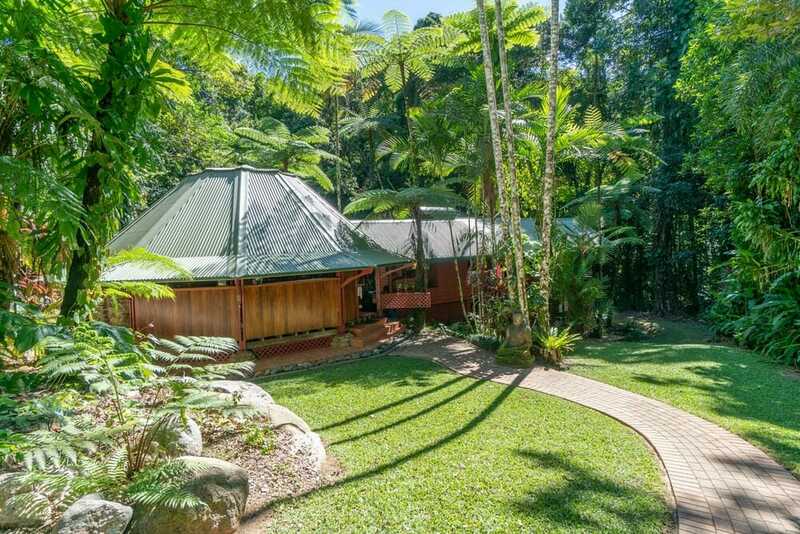 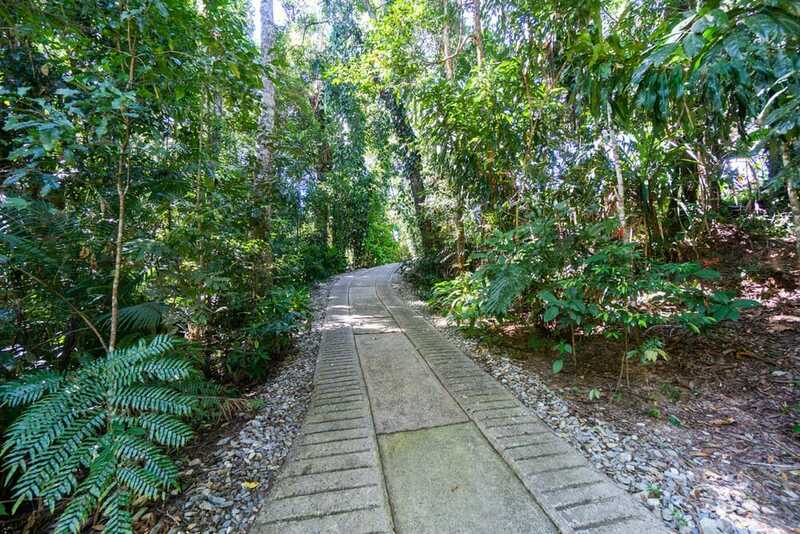 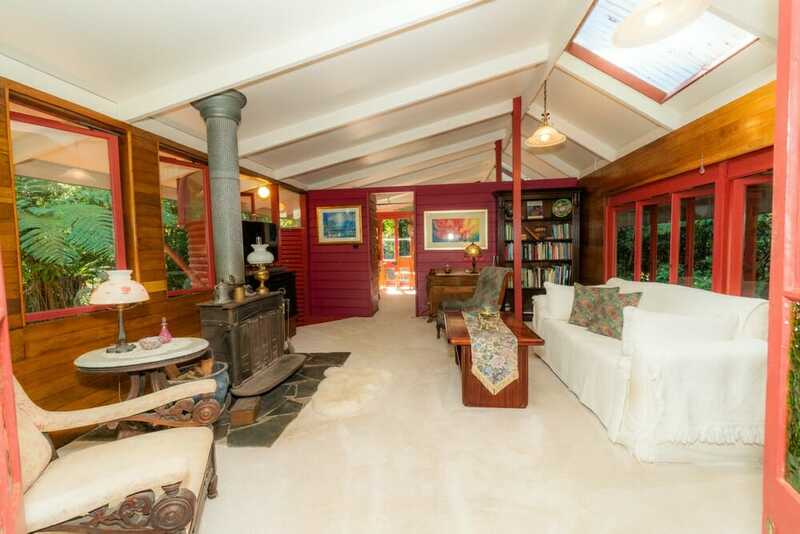 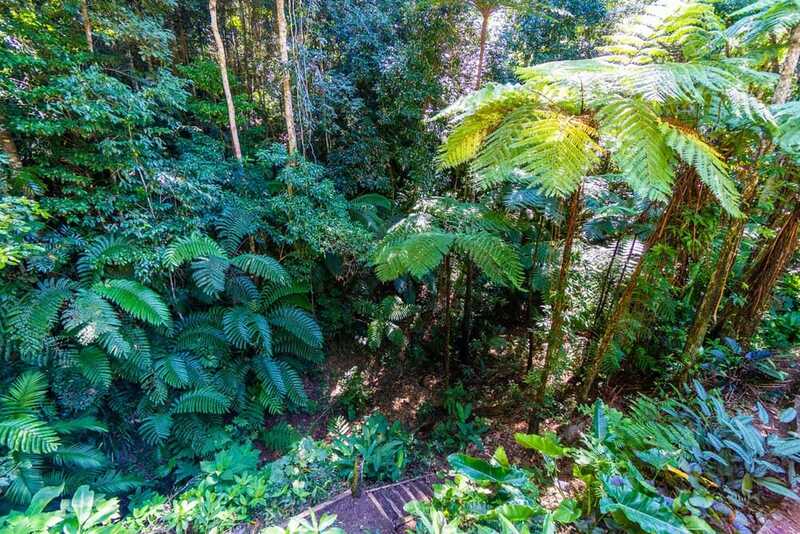 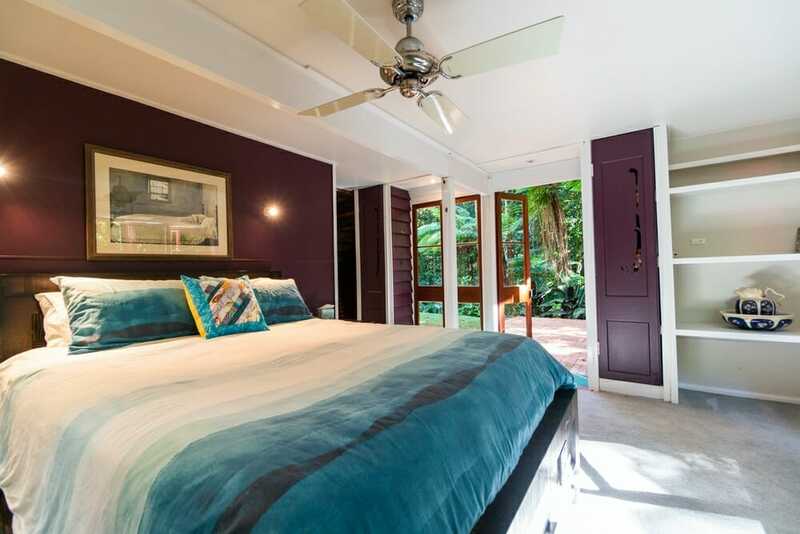 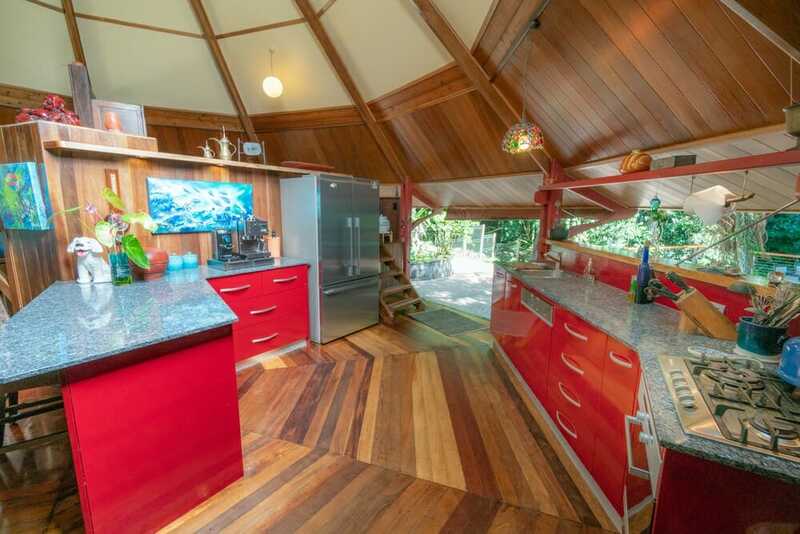 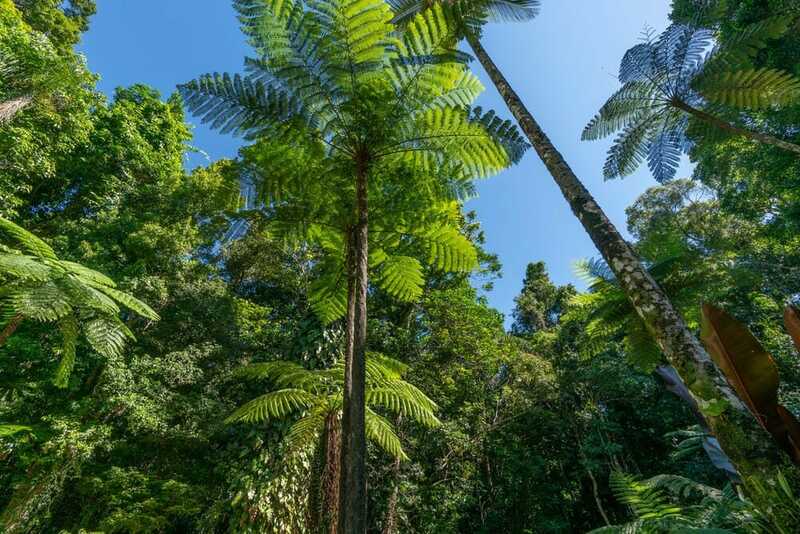 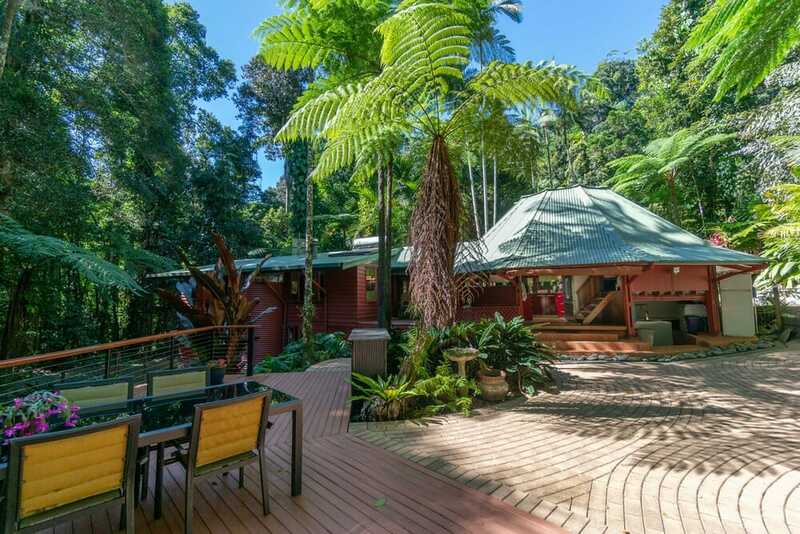 Don’t miss out on this rare opportunity to own that rainforest dream.